How many hours do you spend in your backyard, barbecuing with friends or relaxing after a day's work? Have you considered how important curb appeal is when selling a home? 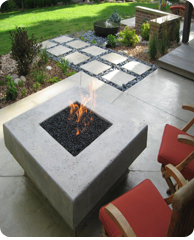 Whether you are interested in landscape design and installation, hardscape services, or creating a beautiful outdoor living area, A & J can make it happen.